A fabulous double flowering variety that boasts massive Peony like heads. 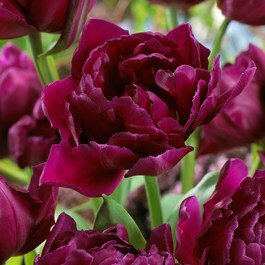 Showcase's popularity is unrivaled as its petals are of the deepest purple and its rich tones both mix well in contrast with other varieties whilst standing alone as a real showstopper. 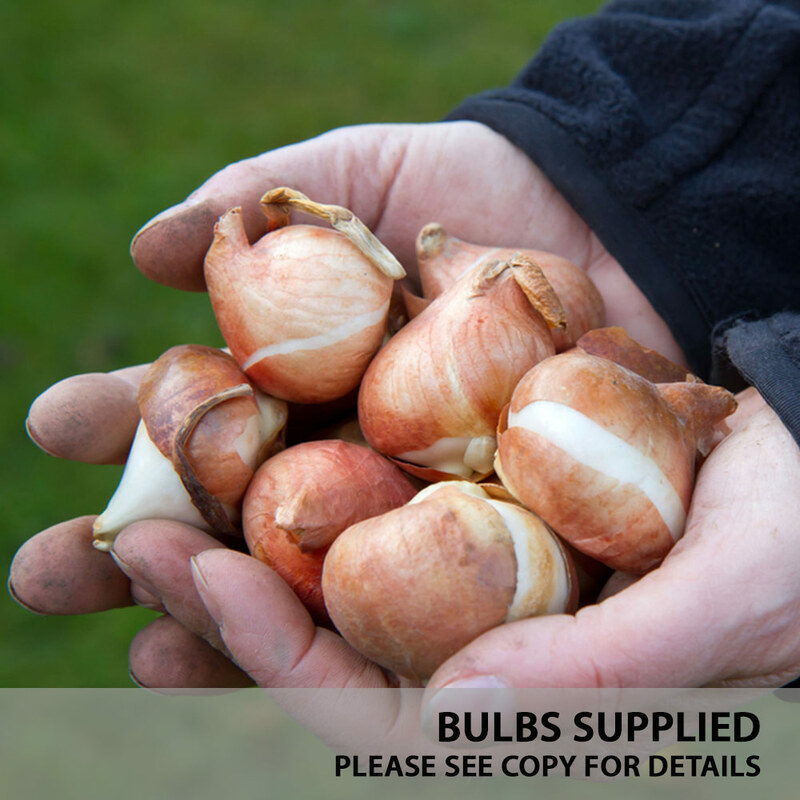 Supplied as 11/12cm bulbs, grows to height of 40cm. Flowering April/May.